Tritium has become a symbol for why nuclear power is dangerous. In June 2011, an AP investigation found leaks of this radioactive chemical from old and corroded pipes beneath 48 of 65 U.S. nuclear plants. National coverage followed, just three months since the meltdown at Fukushima, Japan. Leaks entered groundwater (up to hundreds of times above the federal limit), and sometimes drinking wells and aquifers. U.S. Nuclear Regulatory Commission regulators had not notified the public of this threat. This lax attitude shows how government is just a dupe for the nuclear industry it supposedly regulates. “The public health and safety impact of this is next to zero,” proclaimed industry spokesperson Tony Pietrangelo – with no supporting evidence. Tritium again hit the front page in February 2016, when the Indian Point plant north of New York City shut down. Entergy, which owns Indian Point, announced large amounts of tritium-laced water had entered groundwater, after an out of service sump pump allowed seepage. Three monitoring wells had very high levels of tritium; one had 650 times above normal level near the plant, and up to 2,500,000 times above natural levels. Reaction was instant. New York Governor Andrew Cuomo called for a thorough investigation of the aging plant, calling the leaks “extremely disconcerting.” Reports emerged showing tritium exceeded federal limits in 2009 and 2014. Entergy admitted that the toxic water eventually enters the Hudson River, to damage and kill fish and larvae. But the plant stays open. Tritium is one of hundreds of chemicals in nuclear reactors that are non-existent or found in tiny amounts in nature. Each is toxic and causes cancer, birth defects, and other diseases. So why the big fuss over tritium? * Tritium remains in the body for up to 10 years before decaying and disappearing. Many of the other chemicals produced by nuclear reactors are gone much faster. * Tritium is also an especially toxic form of radiation. A 1991 study by Lawrence Livermore Laboratory found it to be 1.5 to 5 times more damaging to the body than X-rays. * Tritium is also relatively easy to measure in water, easier than the other chemicals that accompany it, including Strontium-90, Cesium-137, Iodine-131, and Plutonium-239. Tritium and its radioactive buddies are the same mix of toxic chemicals from atom bomb explosions above the ground in the 1950s and 1960s. The same cocktail that poured out of melted-down reactors like Chernobyl and Fukushima. High tritium levels near nuclear plants mean high levels of many other forms of radioactive poison. Extremely high levels of tritium near Indian Point raise the specter of a nuclear nightmare. The two Indian Point reactors are 23 miles from the New York City border, 35 miles from midtown Manhattan. 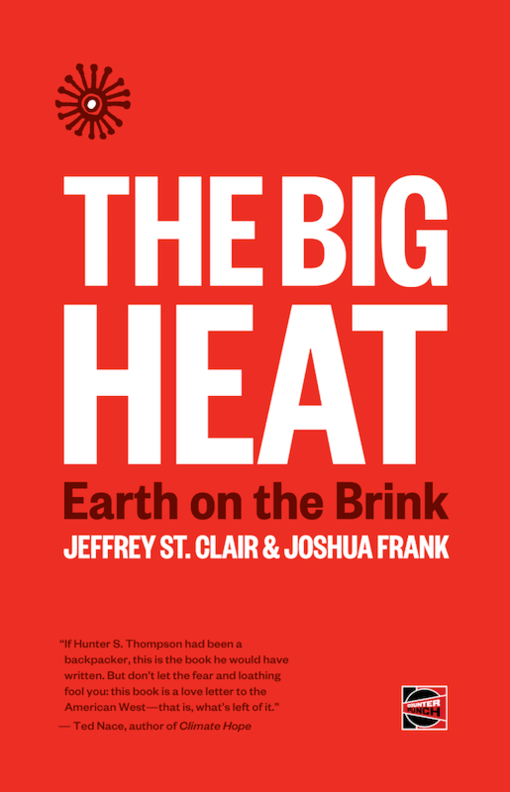 About 18 million people live within 50 miles of the plant, the most in the U.S.
A meltdown would mean the greatest environmental catastrophe in history. Evacuation would be impossible. Hundreds of thousands would suffer and die of cancer or radiation poisoning. Radioactivity would foul air and water for hundreds of years. New York would be uninhabitable. A meltdown would be a catastrophe, but not the only way to cause harm near Indian Point. Routine emissions have actually been breathed in, and consumed in food and water. But government has only conducted one study of cancer near Indian Point, using statistics before 1985. Official data show that the four closest counties (within 20 miles) of Indian Point have had a high rate of thyroid cancer since 2000 – about 60% above the U.S. rate, compared to 20% below in the late 1970s, just after the Indian Point reactors opened. The thyroid gland is especially sensitive to radiation. While toxins like tritium harm cells throughout the body, iodine particles from reactors seek out and attack only the thyroid. The local rate of newborns with underactive thyroid glands is also high, about double the U.S. rate. Calls for the shutdown of Indian Point have cascaded throughout the New York metropolitan area for decades. In January 2017, Entergy, the New York State government, and the Riverkeeper environmental group announced a deal to close the plant in 2021, just four years from now. Still, this old, corroded, and leaking plant operates, routinely adding radiation to the environment and keeping open the possibility of a catastrophic meltdown of a reactor core. The invasion of tritium and other deadly chemicals into the environment at places like Indian Point are well documented. The toll on local health must be taken seriously. Six U.S. reactors have closed in the past four years, and at least three more will close by 2019. This dangerous form of energy should be replaced with safe, renewable sources like wind and solar power.